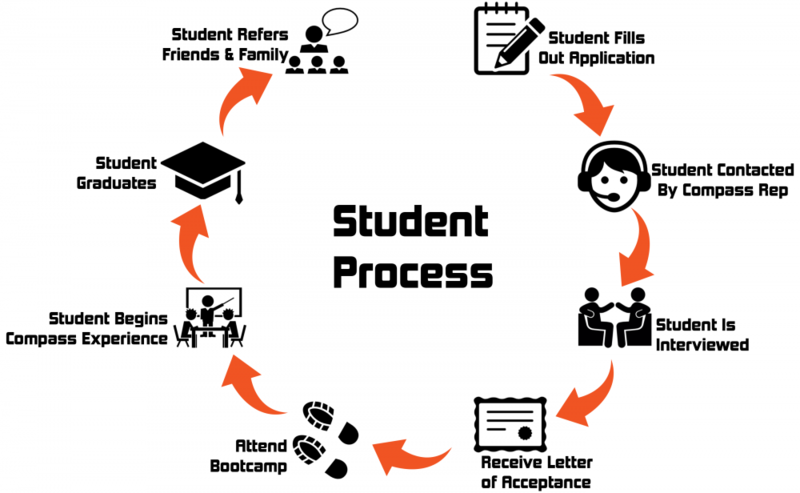 The Compass Experience is a five month process which involves testing, teaching, class interaction, and application. The end goal of students being ethical employees, adding value to business, and growing and advancing in their career. Upon graduation students receive the knowledge and practical application of leadership. Learning how to lead themselves in responsibility and priorities. To understand and dialogue with others while learning what makes a business work.